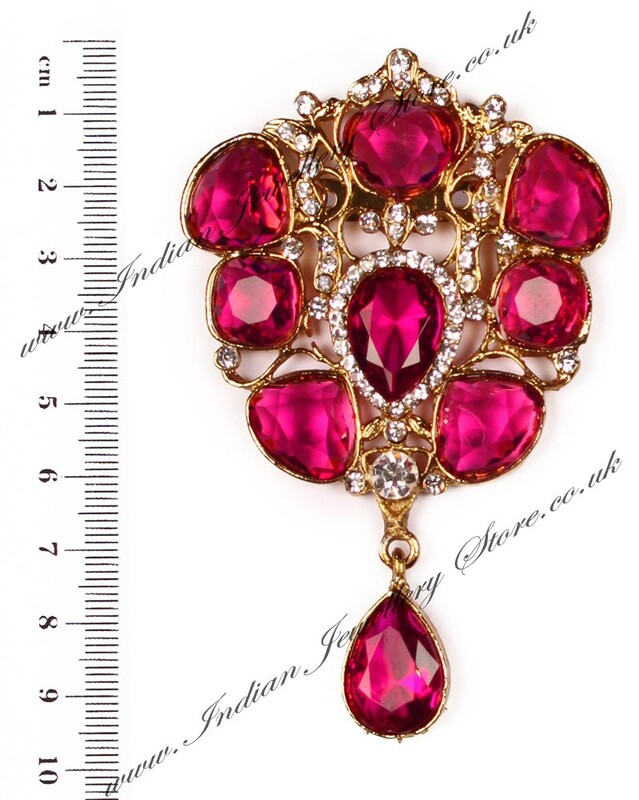 Indian brooch OR kalgi (turban pin) in antique-M gold and rani (fuchsia) pink. Set with diamante stones. Can be used on wedding turbans and after the big day use this as a fashionable brooch by the bride. STYLE TIP: Pin onto the back of a saree blouse for a modern designer look. Indian Jewellery Store LOVES this product. Other colours available. Scale shown in image is in cm.